Update: On Sept. 7, the official "Pokemon Go" website announced that "Pokemon Go" Plus "will be available in much of the world next week, on Sept. 16." Nintendo of America had previously confirmed on Twitter on July 27 that its original July release date had been pushed back to September. 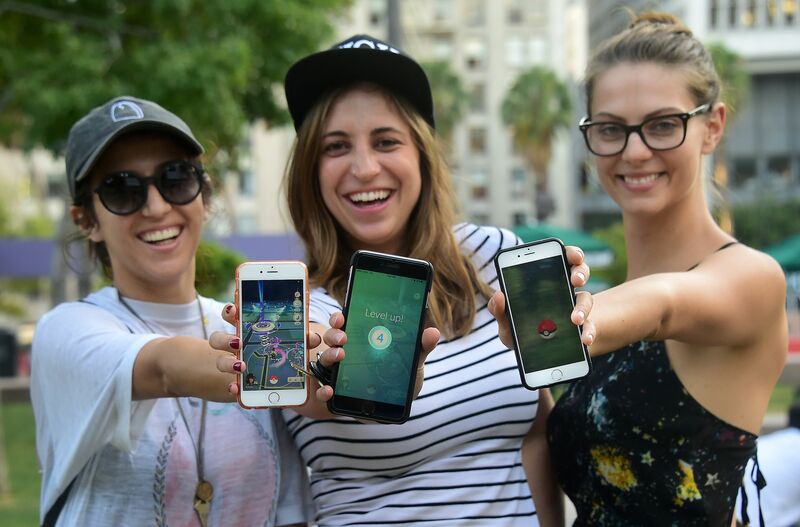 Earlier: Hot new game app "Pokemon Go" is catching on like wildfire, and a dedicated wearable device called "Pokemon Go" Plus promises to take your gaming experience to new levels. Sources disagree as to exactly when "Pokemon Go" Plus will be available, but in any case it's coming real soon. Playing "Pokemon Go" should become even more fun and addictive with this gadget adorning your wrist. With the "Pokemon Go" Plus, which connects to your phone via bluetooth, you'll receive blinking and vibrating notifications when you're near a PokeStop or Pokemon. The button on the "Pokemon Go" Plus will also allow wearers to catch nearby Pokemon and to collect items at the PokeStops. The nifty little device can be clipped to your clothes or your bag, instead of worn on your wrist. With a distinctive PokeBall design, the thing doesn't look half bad, either. Though you don't need the "Pokemon Go" Plus in order to play the game, it will probably be hard to compete against players with the wearable once it's released. They'll be passively playing the game all day every day with the help of their "Pokemon Go" Plus, while you'll be stuck with your face in your phone all the time. This isn't just annoying but dangerous, and reports of "Pokemon Go"-related injuries are already rolling in. The "Pokemon Go" Plus costs just $34.99, a small price to pay to up your game and keep yourself out of the emergenc room. Unfortunately, demand already seems to exceed supply. GameStop, who lists the release date as July 31st, has stopped accepting preorders and simply lists the device as "not available." ToysRUs listed the estimated ship date for "Pokemon Go" Plus as July 30th, before they closed preorders and apparently yanked the product from their site altogether. So while we can't confirm an exact release date for the "Pokemon Go" Plus, it should hit shelves at the end of this month. Last but certainly not least, Amazon also lists the hot device as "currently unavailable," but you might as well throw your hat in the right to be emailed by Amazon when the "Pokemon Go" Plus becomes available again (only takes a click). It seems like Amazon "Pokemon Go" Plus preorders have already opened, closed, and reopened once in the past. In the midst of your new game fever, it may be tempting to pony up for a price-gouged, second-hand preordered "Pokemon Go" Plus on eBay. But hold your horses and rest assured that Nintendo is probably doing all they can to bring the "Pokemon Go" Plus device to the masses as soon as possible. Since "Pokemon Go" is enjoying huge popularity at the moment, getting as many of these wearables onto the shelves as it can should boost Nintendo's hefty "Pokemon Go" profits.